We invite the Masjid AlSalam community to join us in voting for the mid-terms elections. 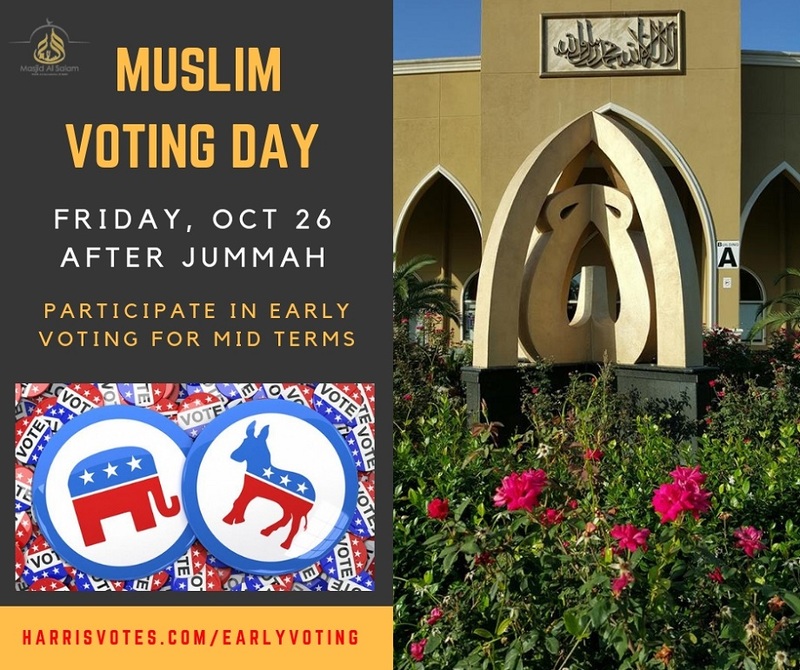 Friday, October 26th has been designated as the Muslim Voting Day and we plan to go to an early voting location after the Jummah prayers and cast our ballots. Note that voting is only allowed for US citizens; permanent residents or Green Card holders are not permitted to vote. The closest polling location from the Masjid is located at Champions Forest Baptist Church at 4840 Strack Road, about 1/2 mile from Barbara Bush Library.